This Casablanca photo contains کاروبار سوٹ, بزنس سوٹ, سوٹ, and کپڑے کا سوٹ. There might also be تین ٹکڑا, تین ٹکڑا سوٹ, ڈبل چھاتی سوٹ, ڈبل بریزٹید سوٹ, دو, دو پیس سوٹ, لاؤنج سوٹ, دو ٹکڑے, and دو ٹکڑے سوٹ. Sam, I thought I told آپ never to play . . .
Was that میں تپ, تپ آگ کے, آگ یا is it my دل pounding? 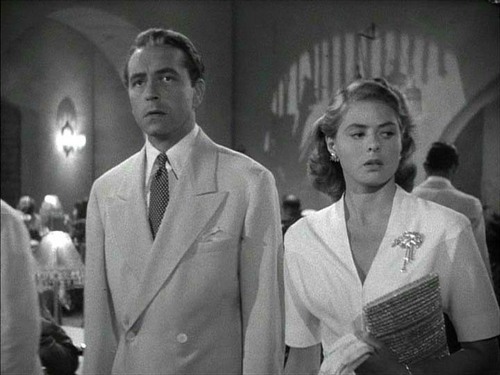 What in Heaven's name brought آپ to Casablanca?